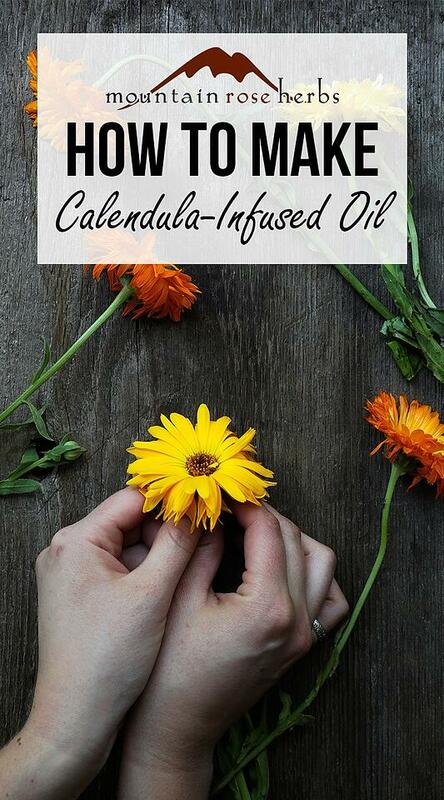 Calendula is one of my very favorite herbs. The cheerful orange and yellow blossoms look gorgeous in the garden and are incredibly versatile in an array of preparations. Calendula officinalis, also known as "pot marigold" or "garden marigold," has been used for centuries. This versatile botanical can be incorporated into baths, creams, salves, massage oils, facial steams, tinctures, and teas. It's also gentle enough to use for babies or children. 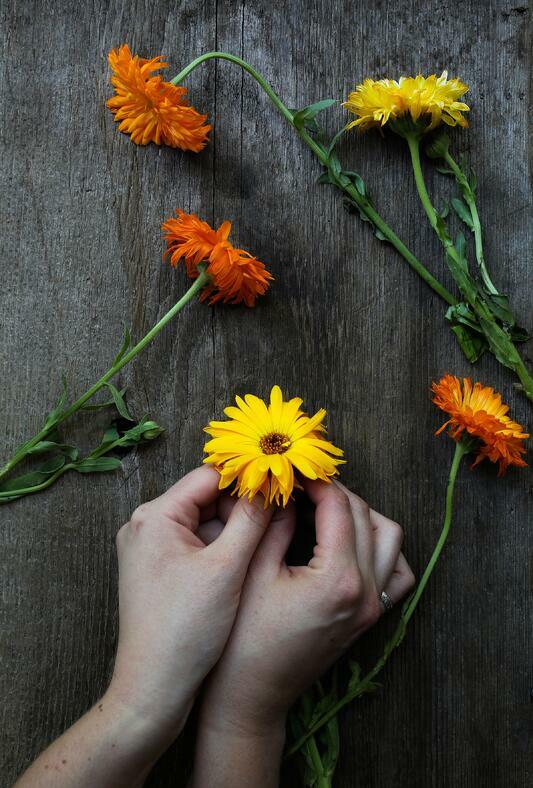 Not only is calendula a traditional herb for body care, it is also a lovely and useful plant in the garden. It grows quickly and is easy to cultivate from seed, plus it helps to keep many common garden bugs at bay. The fresh, vibrant petals make a wonderful food-safe natural dye that can be used to color butter, cheese, custards, or sauces. Or, sprinkle some petals on salads, cakes, and sandwiches for a bright burst of color. 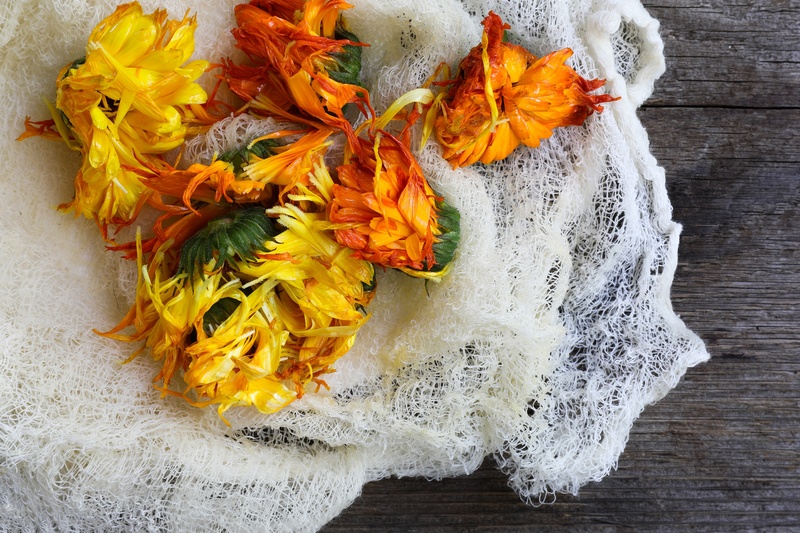 There are many ways to put your calendula flowers to use in herbal preparations. 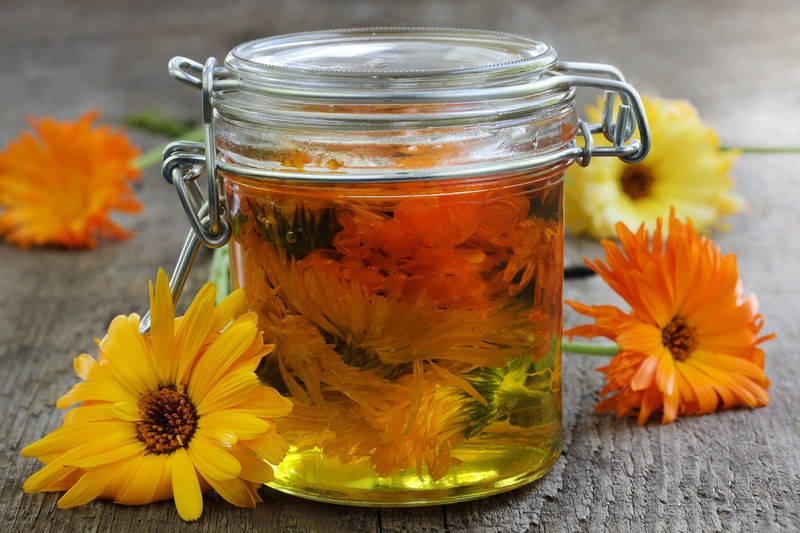 One of the easiest is to use calendula-infused herbal oil as a base for your body care products. This traditional oil is simple to prepare and has SO many uses! It is perfect used alone or as an ingredient in salves, massage oils, lip balms, creams, and lotions. Fill a glass jar 2/3 of the way full with dried calendula flowers. If using fresh calendula, wilt for 12 hours to remove most of the moisture (too much moisture will cause the oil to go rancid) before adding to the jar. Pour olive oil into the jar, making sure to cover the flowers by at least one inch with oil so they will have space to expand. Stir well and cap the jar tightly. 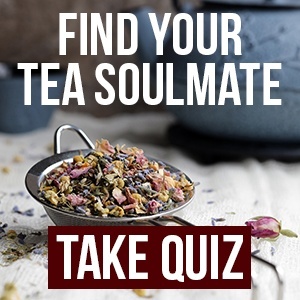 Place the jar in a warm, sunny windowsill and shake once or more daily. After 4 to 6 weeks, strain the herbs out using cheesecloth. Pour the infused oil into glass bottles and store in a cool, dark place. I prefer to infuse oils utilizing the solar or folk method described above, but you can also infuse oils by applying heat if you need the oil quickly. 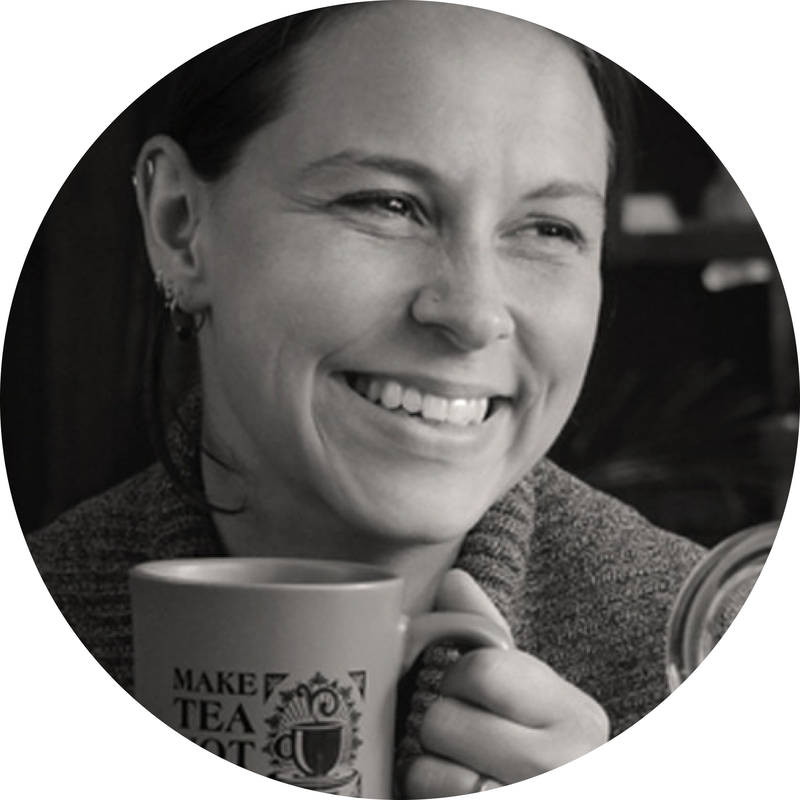 LOOKING FOR MORE ON HERBAL INfusions? Learn to Make Herb-Infused Honey!